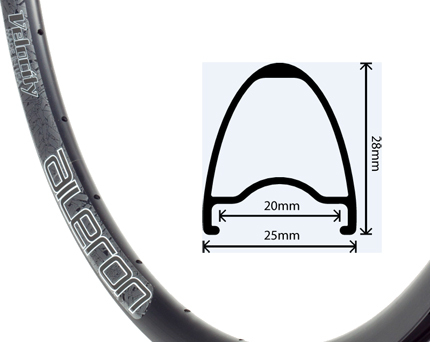 Velocity Rims Aileron Road Disc Brake Rim is rated 1.0 out of 5 by 1. Rated 1 out of 5 by AshfieldCommuter from tyres way too tight With the right tyres these are probably good rims. They seem well made and strong and pretty light. But I've had two mysterious punctures in two weeks - possibly from pinching the tube - and it is sheer h*ll getting tyres on and off. Wiggle have recommended a looser tyre, and I'm getting some metal tyre levers, so hopefully I'll find some kind of solution. But at the moment the bike is off the road. I don't want to be in the middle of nowhere struggling to change a tube. what is the Max tyre pressure?